In a completely unexpected development — seriously, nobody saw this one coming — Cliff Bleszinski has left Epic Games. A blog post appeared moments ago on the official Epic Games website announcing the decision, and saying that this departure would allow Bleszinski to “chart the next stage of his career.” Notably absent from the blog post however, was any mention of what this “next stage” might be. What it lacks in solid information about the future though, the announcement more than makes up for in praise for Bleszinski’s work at Epic over the years. Assuming you don’t religiously follow the gaming business, you likely know Cliff Bleszinski best as the lead designer of the hyper-successful Gears Of War franchise. Those with more impressive memories will likely recall that Bleszinski also played a key role in the creation of such classics as Unreal, Jazz Jackrabbit, and Unreal Tournament. As a result (and likely due to Bleszinski’s gregarious, outspoken nature), he has become something of a figurehead both for Epic and for its most famous games. As we stated above, Bleszinski is one of the very few game designers who, in the course of his career, successfully transitioned from notable industry figure to genuine celebrity. Though he was never the highest officer at Epic Games, his name and face are instantly conjured up in the minds of most fans when you mention either Epic of the Gears Of War series. Hoping to ascertain where the company goes from here, now that it’s lost both a key employee and its most famous face, we asked Epic what its plans might be, but unfortunately the company is either currently unable or unwilling to share any details beyond what you can find in that aforementioned blog post. 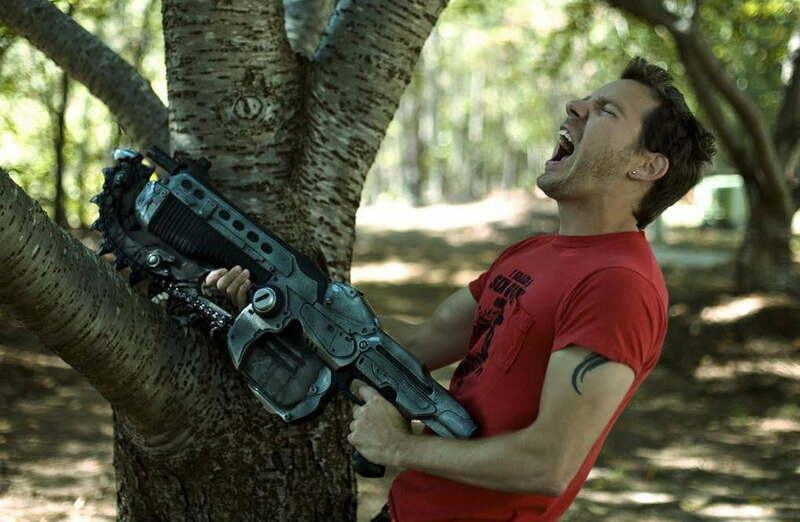 We expect to hear further information from both Bleszinski and Epic shortly.